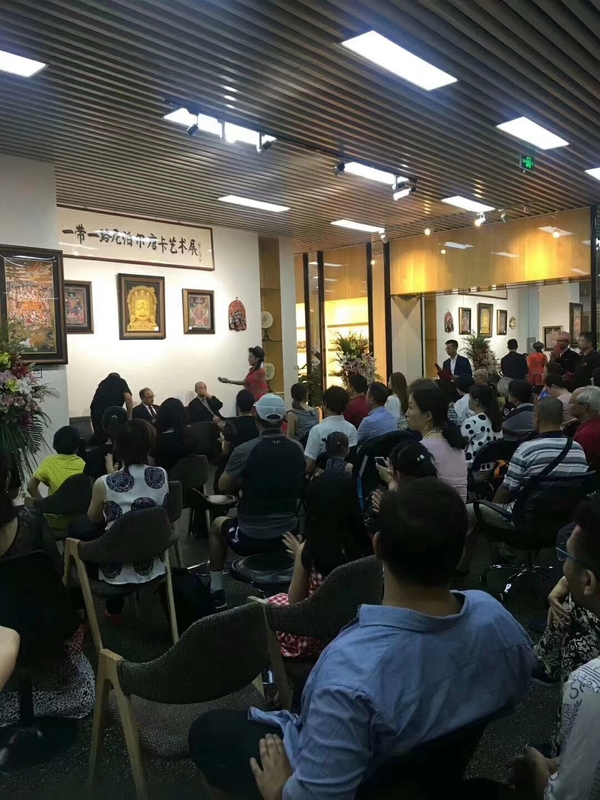 Belt & Road Initiative - Nepal Thanka Exhibition, a showcase of Paubha painting has succeeded drawing attention in Beijing, the capital of China. 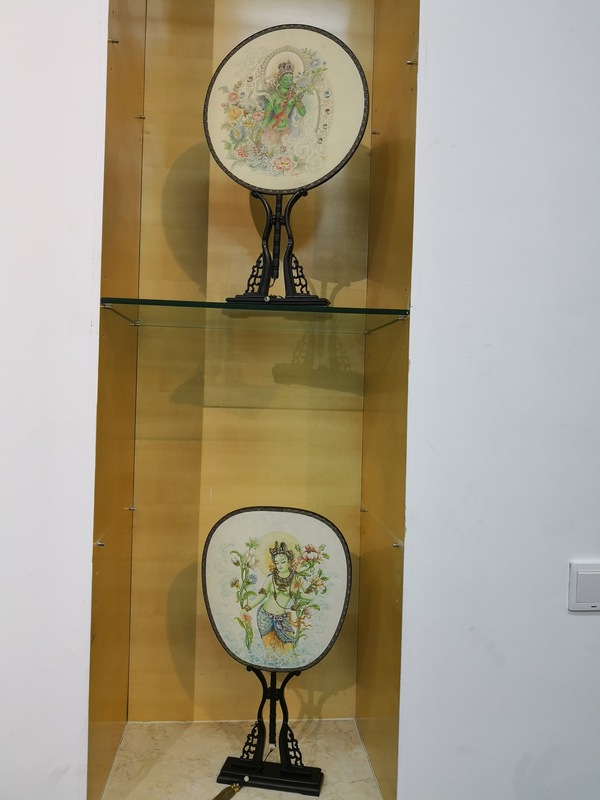 The event organised by Art Kathmandu, Bhaktapur and China based Gorilla Fitness Centre had presented traditional Nepalese painting in silk fan giving it a Chinese touch. According to the organisers, ink water based colour is used in silk fan to paint item like dragon among others. 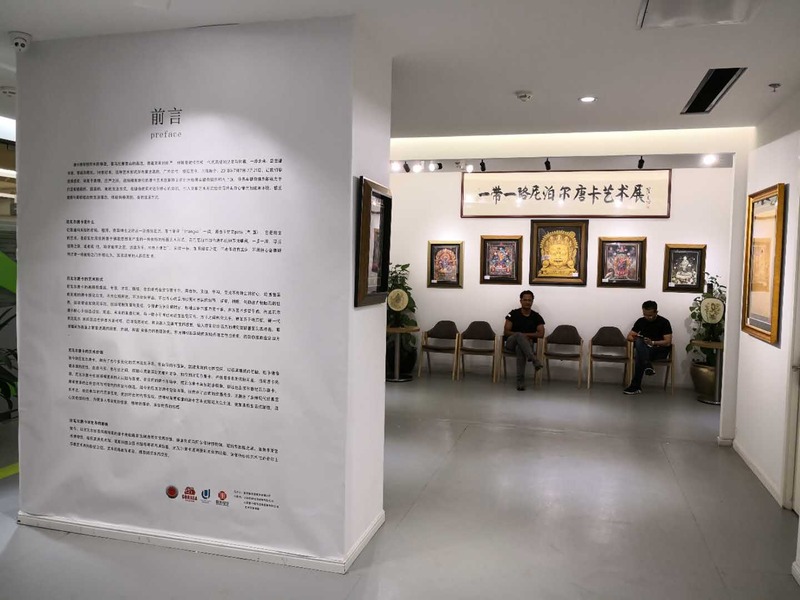 "The exhibition has helped providing a new dimension to the cultural relationship between Nepal and China," Kranti Kayastha, a Nepalese student who had recently completed graduation from the University of Science and Technology, Beijing said. 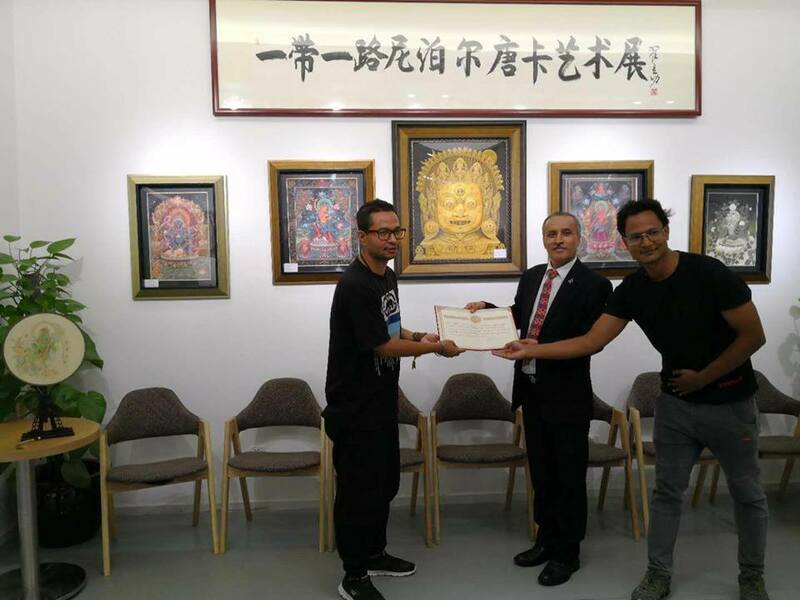 Kayastha and along with his brother Bhusan Kayastha, also an student in China, took Chinese silk fan to Kathmandu and urged renowned Paubha artists Uday Charan Shrestha and Samundra Man Singh Shrestha to depict Nepalese traditional art over it. The artists' duo painted the Licchavi Princess Bhrikuti, considered to have been the first wife of Tibet emperor Songtsen Gampo. 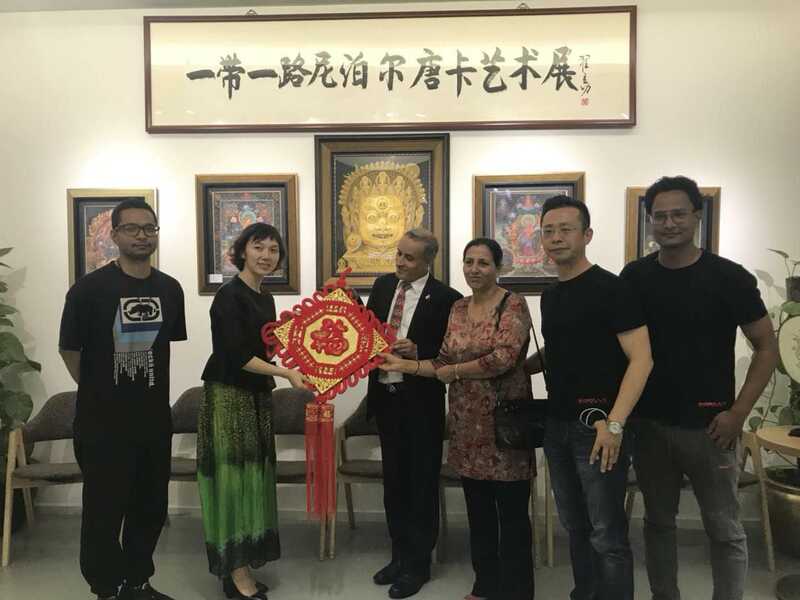 "Given the art has amalgamated the tradition of Nepal and China, it is being perceived positively by the Chinese visitors," Kayastha said. Paubha is a traditional religious painting made by the Newar people of Nepal. Paubhas depict deities, mandalas or monuments. Though Thangka is considered to be its Tibetan equivalent, Kayastha says these two genres of art have slight difference. Historically, most of the paubhas used to feature Hindu and Buddhist deities. The trend has seen a shift in recent days with the likes of Bhrikuti, Manjushree or Buddha being prominently featured. 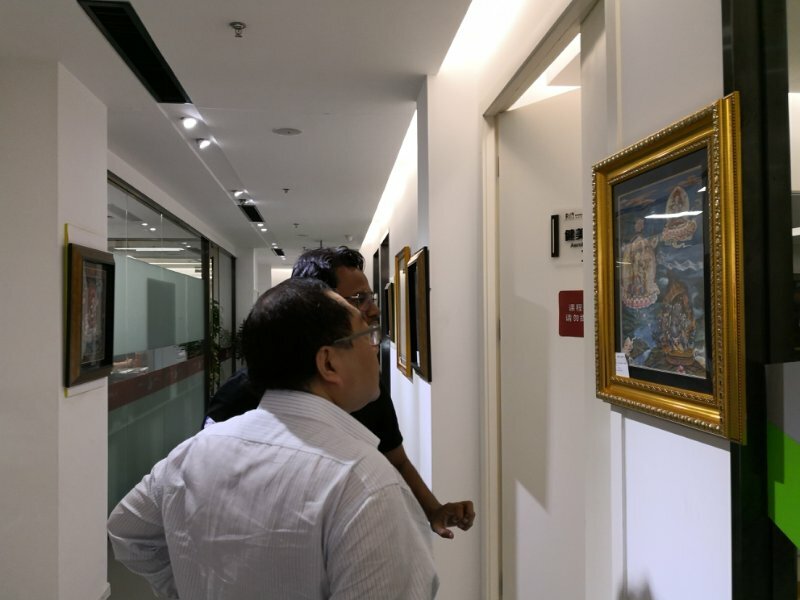 The exhibition that lasted for 15 days at Minsheng Financial Centre featured 26 Nepali paubha painting and six Thanka painting. 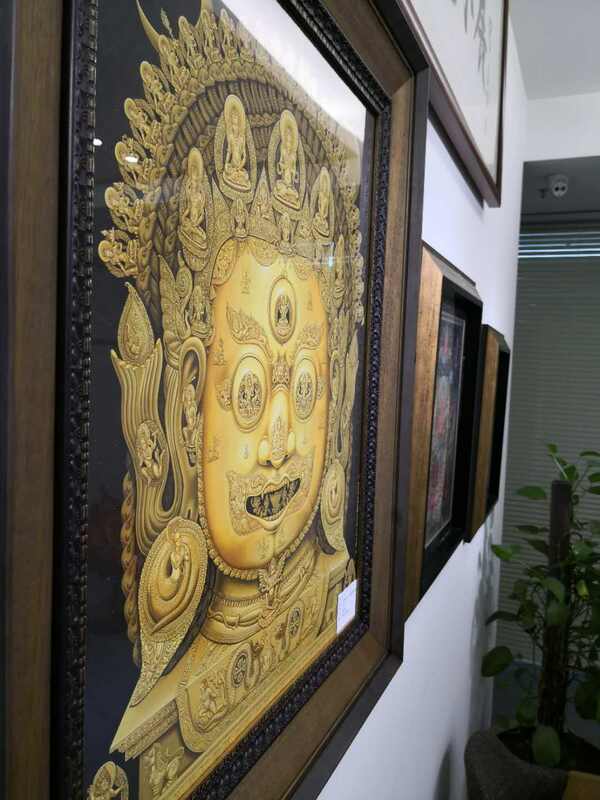 Work of artists like Purna Hyoju, Deepak Joshi, Ratna Gopal Sinkhwal, Sajib Shakya, Minu Shakya and Devendra Sinkhwal was featured in the exhibition. According to Bhusan Kayastha, the exhibition that lasted for a fortnight was successful drawing in around 800 visitors. 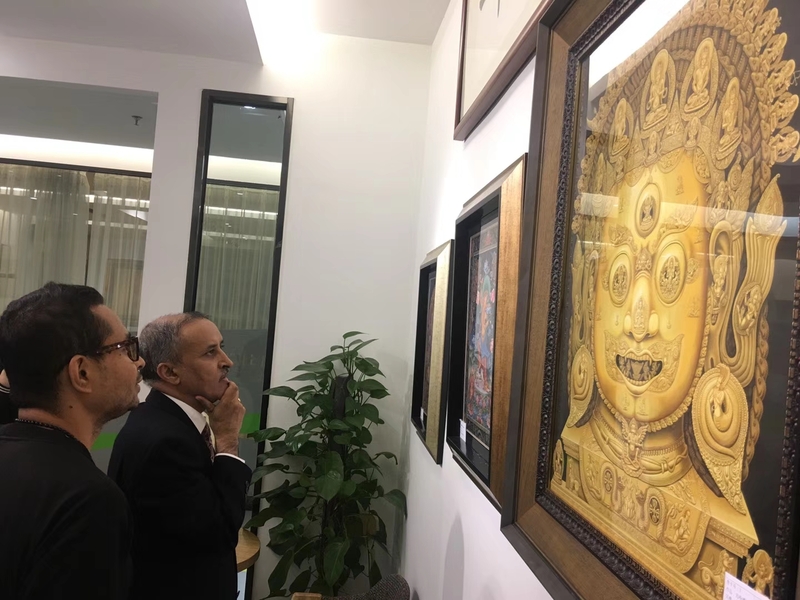 "This is first such exhibition by Nepalese in China and we are hopeful that this initiative will help Nepalese paintings in such a big market," he added.